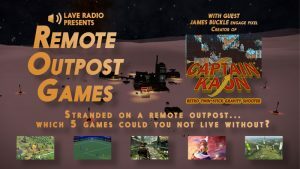 Remote Outpost Games is a podcast celebrating the best video games in history, stranding industry figures on a remote getaway and asking them to justify which 5 games they would take with them to await rescue. In this episode, hosts John Stabler and Christopher Jarvis talk to Industry Veteran and Indie Newcomer James Buckle of Engage Pixel about his latest game – Captain Kaon – and his decade-long history working on the Total War series. Captain Kaon is a new gravity shooter inspired by Thrust and created in a homage style to the Amiga era. 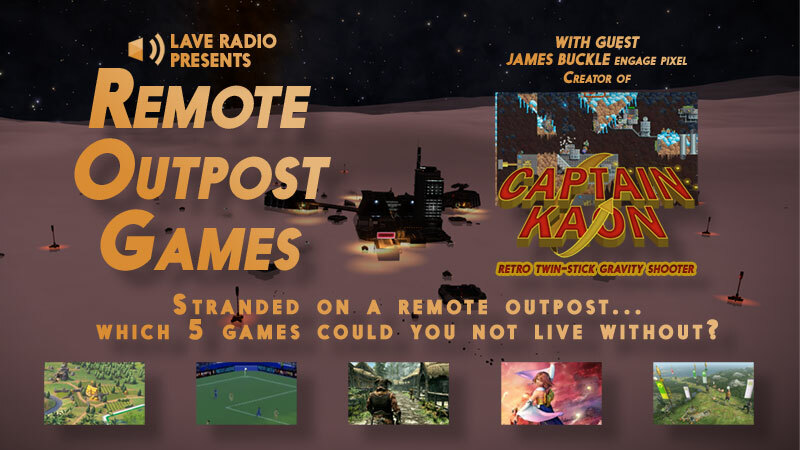 As part of this show we have THREE Steam keys to give away for Captain Kaon, so listen in for the rules and send us your entries! 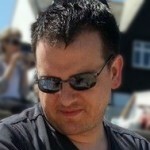 Chris Jarvis is an audio drama producer and writer. He resides at The Radio Theatre Workshop, producing five of the official Elite: Dangerous books as audio fiction, as well as the unofficial series Escape Velocity. He is one of the hosts of the Lave Radio podcast, the best Elite: Dangerous unofficial podcast. In the past he has written for gaming websites and other publications as a freelance journalist.